For over 20 years, we have managed the landscaping for many commercial and residential properties in Western North Carolina. From design to build, we can help you with it all. It all begins with a meeting to talk about your current condition and what you would like your outdoor environment to become. Our approach to landscape management incorporates working with the natural environment to provide the best conditions for landscape health and sustainability. 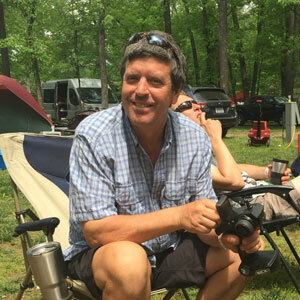 Pat Barrett started Sprinkle Creek Landscaping 1990 with a truck and a trailer after working for another landscape contractor for over 10 years. With a lot of hard work and sweat, Pat grew Sprinkle Creek into a very reputable maintenance and installation landscape company. Today Sprinkle Creek Landscaping services larger homeowner’s associations and commercial properties as well as numerous satisfied residential customers, providing complete landscape maintenance, design and installation services. Pat specializes in hardscape patio and wall installation and all aspects of complete landscape maintenance throughout all seasons. Pat is a NC Cleanwater contractor, ICPI Certified Paver installer, and a NC Turfgrass Professional. Erin Barrett joined Sprinkle Creek Landscaping in 2005. She was working for NC Division of Air Quality but started helping Pat with installations and bookkeeping. After their first child was born, Pat and Erin decided that it would be best for the business and their family if they all worked together. Erin’s passion is plants and the environment. She is able to combine that to bring their customers a complete knowledge of plant material and an ability to create landscape designs that are sustainable to the environment and those that enjoy them. She has worked on two homes that have been LEED certified and also worked on many homes that are NC Healthy Built. One she did the complete design for and the other she supervised and completed all the paperwork for the certification. 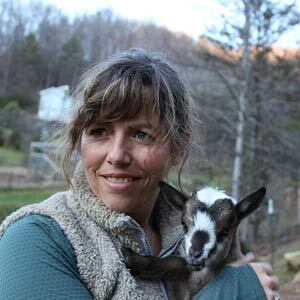 She is a NC Certified Plant Professional, a Registered Landscape Contractor, and a Certified Raingarden Designer. Together, with their highly qualified staff, they make a great team that can provide their customers with all facets of landscape maintenance and design. They take pride in their company and their work and provide their customers with nothing less than top quality landscape products. They are lifelong students and are continually taking classes to provide their customers with the most up to date information and products. Once you decide to work with Sprinkle Creek Landscaping you will become part of the family. We will get to know you and you will get to know us.